If you're like most consumers today, you engage more with pictures or videos on a website than text. The stats don't lie - four times as many visitors would rather watch a video about a product than read about it, and sites with compelling images average twice as many views as text-heavy ones. But, how do you balance the desire to create engaging visual content on your site with the need for speedy delivery to your end users? Well, we have good news! 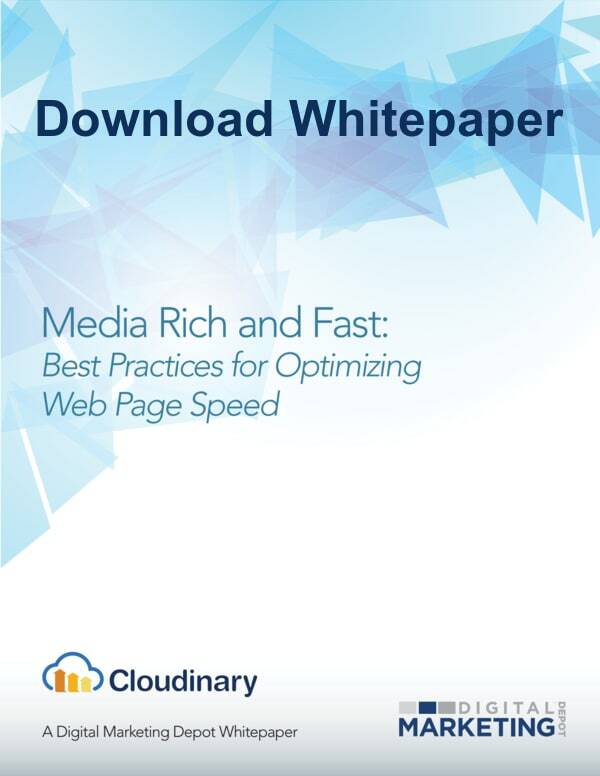 Cloudinary and Digital Marketing Depot have partnered to produce a new whitepaper - Media Rich and Fast: Best Practices for Optimizing Web Page Speed, outlines best practices to help you optimize images and videos on your site, upping your digital media game improving page load speed and creating a better user experience.